For as long as they’ve loved perennial food magazines like Bon Appetit and Food & Wine, Diana Ng and Dan Clapson have felt the absence of a publication that does for the food culture of Canada what those brands do for the United States. They wanted to “tell the world that we’re not just maple syrup, poutine and ketchup-flavoured potato chips,” delicious as those things may be. And so in 2013, Eat North was born. Since then, the team has been working with local, regional and national food editors and contributors to create content that gives Canadians a better understanding of how our food shapes our collective identity. Canadians should look no further than their own backyard for world-class culinary delights, and no further than Eat North for the story of who we are as a nation of food lovers. 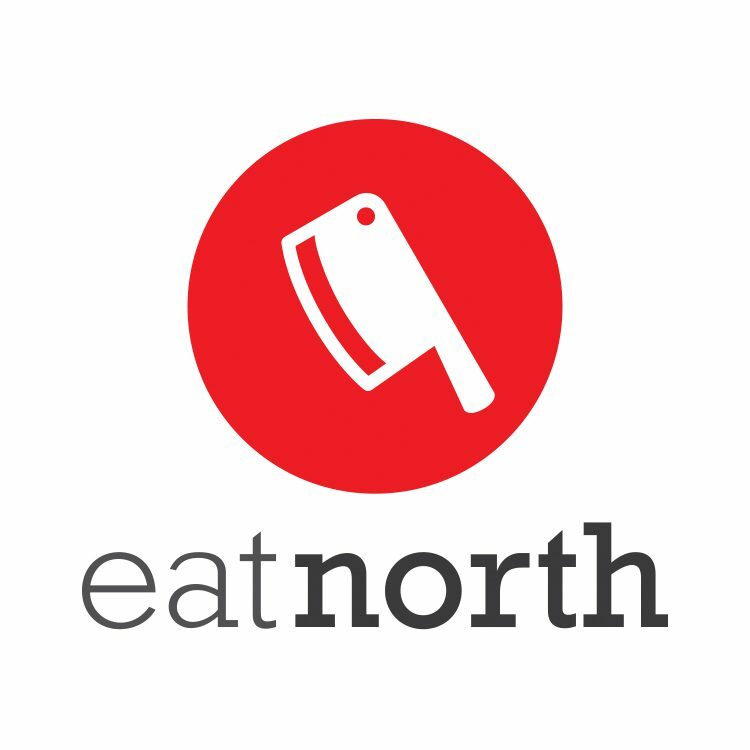 AMPA is thrilled to welcome Eat North as our newest member. Tell us about the origins of Eat North. L to R: Eat North’s baking expert, Stephanie Eddy and co-founders Dan Clapson and Diana Ng helping run the 2017 Heart Truth Fashion Show VIP pop-up restaurant. Diana Ng: Most mainstream food websites and magazines are from the United States and they are always focused on holidays not observed in Canada, fruits and vegetables that were out of season in Canada at the same time, and restaurants that are not easily accessible to Canadians on a regular basis. The only alternative to this in 2013 were localized city magazines or websites in Canada, but none really looked beyond their own city or at how they played into Canada’s food identity or culture as a whole. So, the three of us, after airing our grievances at the issues, decided to do something about it. Dan Clapson: I have read Bon Appetit religiously for years. Even more-so in the past seven or eight years once Adam Rapoport took over as its editor and notably refreshed the brand. Anyway, the fact that Canada has never, ever had an equivalent to that or even Food and Wine –and still doesn’t– was disappointing to me. Both Diana Ng and Dave Wilkinson had feelings in a similar vein. In 2012 we started collaborating on the idea that would eventually materialize as Eat North in fall 2013. How has the concept developed since then? Where do you see it going? DC: Looking back on the past four years, it has grown so much. We were very fortunate to have talented, well-informed writers from the get-go and I can’t ever thank those initial contributors enough. With a solid foundation, it grew, like any small business does. You know, you figure out what works (some things), what doesn’t (so many things) and how to capture people’s attention. As we grow organically, our content becomes more widespread, naturally. We don’t want to have a singular finger on the pulse of the Canadian food scene, so to speak, we want it to be a collaborative effort. That’s where our regional editors and contributors become essential. I have no doubt that Eat North will be a nationally reputable media source within two years. That’s why being a web-only source and wanting to be taken seriously, we were steadfast in our focus on quality, organic growth or something of a more “viral” nature like Dailyhive or Buzzfeed. DN: Since the site launch, we’ve made more of an effort to offer a more varied set of content, from short one-day city guides to in-depth look at topics around food in Canada, to where to find the best of certain foods in Canada. We will continue to create content that informs, educates and entertains our site visitors, covering a balance of light and fun materials as well as deep dives in serious issues around food. Why is what Eat North does important? DN: It informs Canadians of what we have “at home” and what we’re doing in the various dining scenes across the country. It lets us know that asparagus is in season in the spring here, that spot prawns are available only for a few weeks in May/June, that we should all be looking for these kinds of things in the grocery store before buying out of season vegetables that travelled underripe halfway around the world. We grow some of the best blueberries and grains, and outside of ingredients, we have amazing chefs, brewers, distillers and other creative producers who really work wonders with what we have in this country. DC: I think something special about our site is that we try to unify the Canadian food scene. We are Alberta-based and definitely Western Canada-leaning with our content, but with readership across the country, it gives people in different regions perspective of other folks’ regions. Personally, I would really like to see more North Americans exploring the Prairies specifically, so it’s nice to showcase the region to our continually growing audience. What makes Eat North different? DN: Our uniquely Canadian identity and focus, and our goal of promoting the best of Canada’s dining, rather than critiquing. DC: To this day, Eat North still remains to be the only Canadian media source whose main focus is to strive to highlight the national food scene. What do you think keeps readers coming back? DN: Fresh content that’s relevant to their interests and lifestyle. DC: I have no idea, but thank god they do! I’m sort of joking, but I love my website just as much as a biased father that would be irate if his daughter wasn’t on the starting line-up of her hockey team’s big game. It’s hard to understand why people wouldn’t want to read your own content when you put your heart into something. It could also be that we have a great line-up of writers and from a creative direction perspective, that we do a good job of balancing fun, easily digestible content with more serious reads. Who knows!